The 15th amendment, established during the Reconstruction Era on February 3, 1870, prohibited any government in the United States from depriving a citizen from the right to vote based on their race, color, or previous conditions or servitude. The 15th amendment was the last of the Reconstruction amendments and was the last to establish the rights for the newly-freed slaves. However, organized hate groups like the Ku Klux Klan found ways to prevent blacks and whites who supported black rights from exercising these voting rights through harassment and lynching. 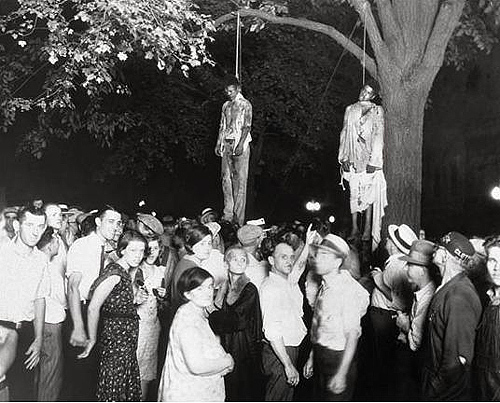 Cases of lynching, the practice of putting someone to death, usually by hanging, by mob action and without legal authority, had occurred starting in 1890 lasting until the 1920s. The dominant region of this practice was the South country of the United States due to the opposition of the Reconstruction amendments. These types of practices kept blacks from voting despite what rights they had on paper. Without votes, black held no real political power and had no representation in Congress. In addition to violent acts like lynching, other tactics were used to prevent or reduce blacks from voting even though the 15th amendment gave them the right to do so. These included gerrymandering, residence requirements, poll taxes, literacy tests, property requirements, laws disenfranchising voters for minor criminal offenses and other methods. 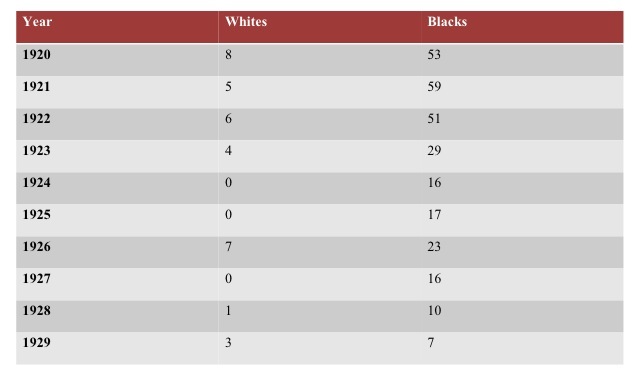 "Lynching Statistics by Year." UMKC School of Law. Tuskegee Institute. Web. Feb. 2012. <http://law2.umkc.edu/faculty/projects/ftrials/shipp/lynchingyear.html>. "Voting in North Carolina." Democracy NC Home. Web. Feb. 2012. <http://www.democracy-nc.org/voting/index.html>. "Lynching in the United States." Wikipedia, the Free Encyclopedia. 31 Jan. 2012. Web. Feb. 2012. 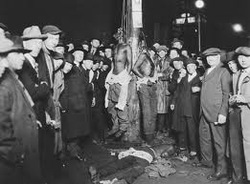 <http://en.wikipedia.org/wiki/Lynching_in_the_United_States>. "15th Amendment Explained." Untitled Document. Web. Feb. 2012. <http://www.deafvote.com/why_vote/15th-amendment-explained.html>.